Former Tantric guitarist and Dramagods bassist Joe Pessia splits his time between two new bands these days. Joe just completed work on the second Hurtsmile release with Gary Cherone (Extreme/VanHalen) that will hit the streets in early 2014, and is also wrapping up a new CD with Badger, a project with Pat Badger of Extreme fame. 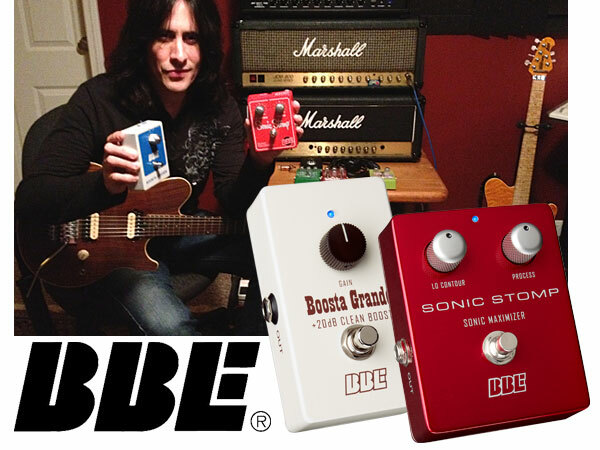 But no matter what project he's working on, Joe always relies on BBE. About the BBE Sonic Stomp™: Upgrade everything with Sonic Stomp™, the one piece of gear which improves the performance of your whole rig. Whether you're a guitarist or bassist, get ready to be amazed. With Sonic Stomp's proprietary BBE Sonic Maximizer technology, you'll hear your amp cut through the band mix better with dramatically improved note definition in chords and solos. Even with a wall of distortion, the distinct harmonic elements of each note can be heard like never before. Time-based effects take on a level of realism and dimension you never thought possible. And if low-end punch is your thing, you'll discover the Lo Contour control is the ticket to meaty chunk without the mud. It's like lifting a blanket off your amp to reveal the full potential of your gear and your musical expression. When you're ready to Maximize Your Tone, get your hands on a Sonic Stomp. More information here. About the BBE Boosta Grande™: The Boosta Grande™, a Guitar Player Editor's Pick, is back in a new compact chassis to conserve space on your pedal board. 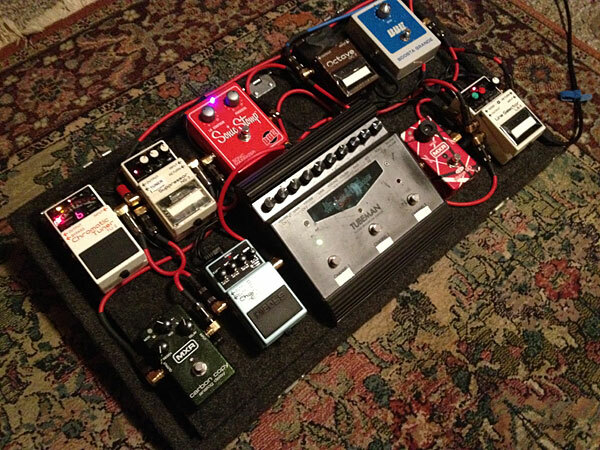 A clean boost pedal does nothing but pile on gain, right? Well, some do, but that doesn't create the experience players want. You see, added gain will push the amp's front end tubes harder, creating more of the amp's own harmonics, but that alone will make the amp seem too bright, sacrificing the tonal balance in the process. You see, we call Boosta Grande™ a "transparent clean boost" because it doesn't change the tonal balance of the amp, even with Boosta's max gain of +20dB slamming those tubes. To achieve a transparent boost experience, Boosta Grande™ mildly rolls off some top end starting at about 1kHz so that when the amp's front end is driven harder with gain, the additional upper harmonics generated by the tubes aren't excessive. More information here. © 2009. BBE Sound, Inc.